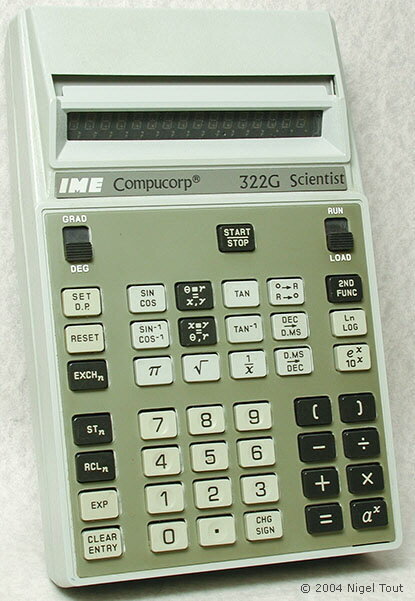 IME was "a company of the Edison group" which produced some of the first all-transistor calculators in the mid-1960s. 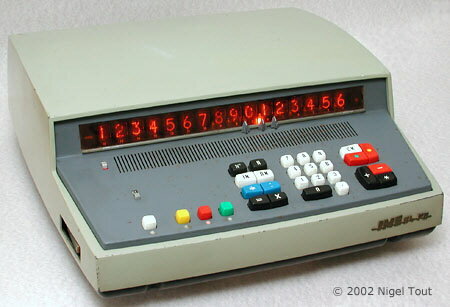 Dating from 1964, the 84rc was one of the first all-transistor calculators, and uses a magnetic core memory. 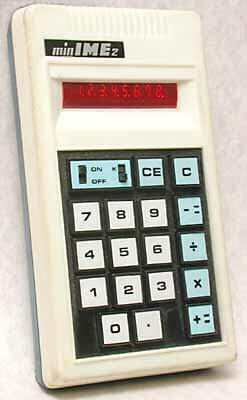 It is possible to connect remote keyboard and display units so that others could make use of the calculator too, but only one person at a time! Hand-held model dating from about 1973. Compucorp 322G Scientist labelled for IME. Note that this example is missing its display shade.